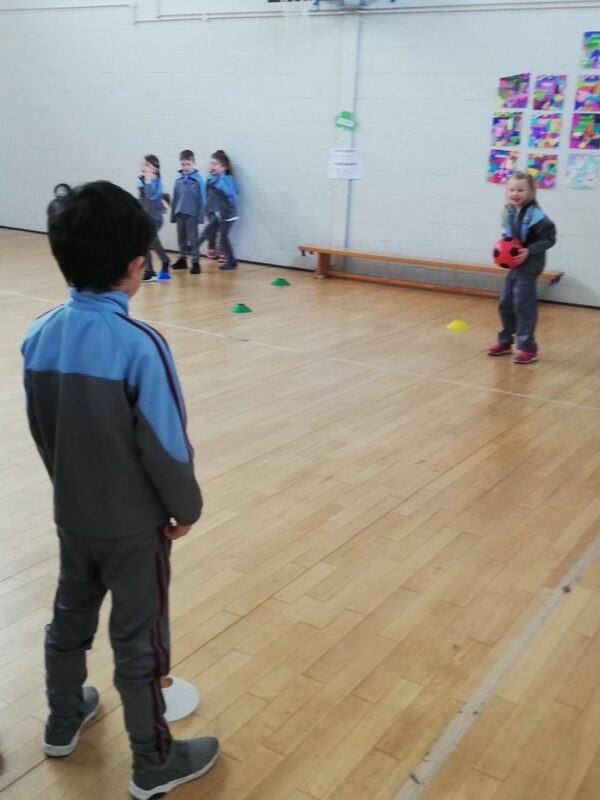 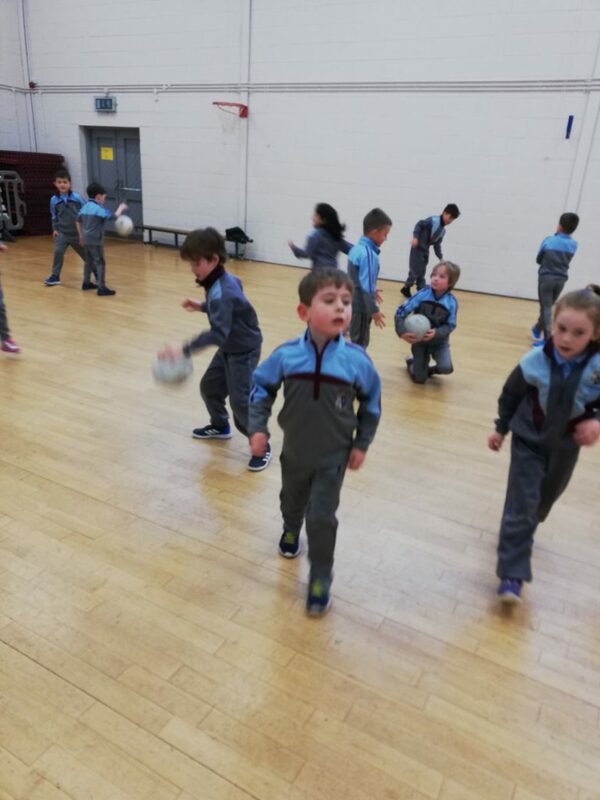 Before Christmas Ms. Brady’s class were learning the skills of gaelic football with Dave Moran (Lucan Sarsfields GPO). 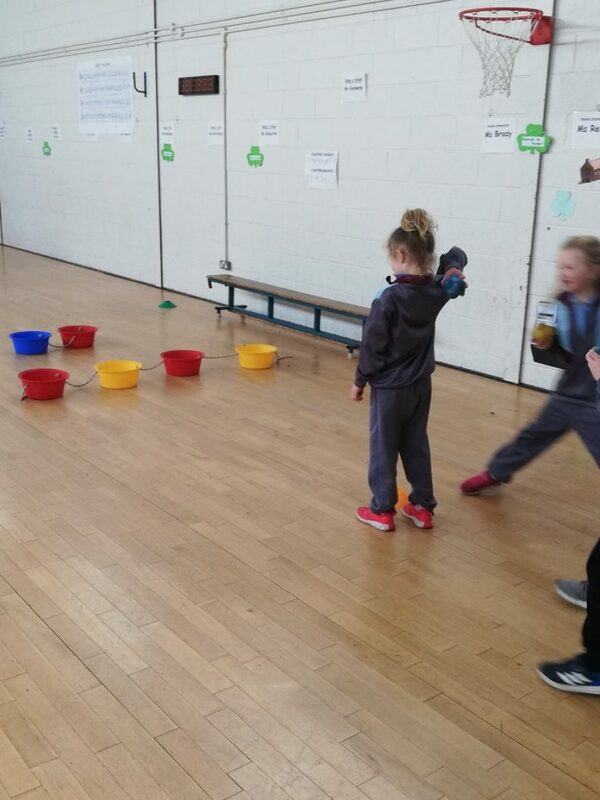 Recently the children were practising the steps to their céilí dance which they performed excellently at the céilí during Seachtain na Gaeilge. 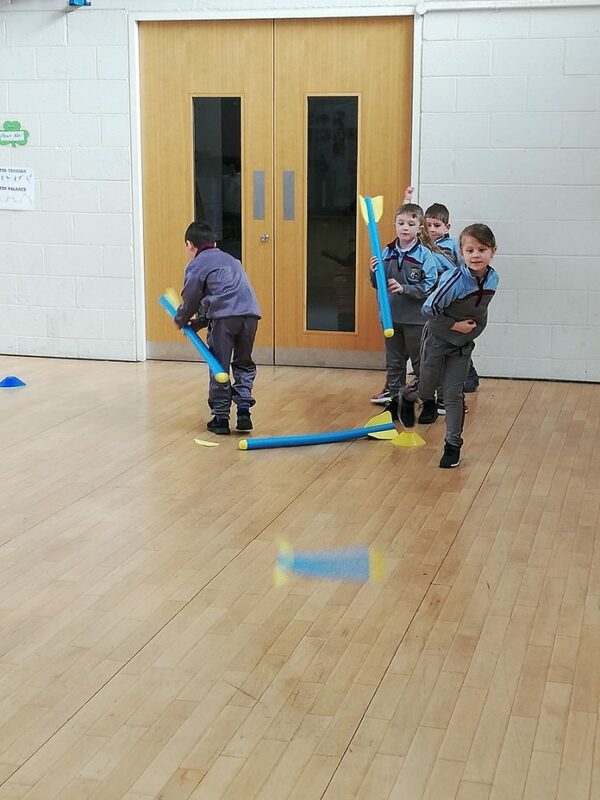 This week the children had great fun in the New Hall when they did their activity circuits.